Better a humble unlettered brother who, working the good things he knows, gains Heaven than one who though being distinguished for his Scriptural learning, or being a teacher, lacks the bread of love. It was led by Fr Michael, a qualified primary school teacher, with a degree in theology, who had served in the Air Force, and worked for some years in banking before being Ordained as an Anglican priest. The monastery incorporated fairly soon thereafter, and worked from the large building known as Saint Petroc House, originally occupied by Fr Michael alone for some years. Fr. Michael went back to England in 1994 where he had meetings with Fr Michael Keiser of the Antiochian Orthodox Church. He was in England in 1995 and again in 1996. At this time Saint Petroc Monastery was effectively stavropigial, directly under the guidance of His Beatitude Ignatius IV, the Patriarch of Antioch in Damascus. In 1997, Saint Petroc Monastery came under the direction of Archbishop Hilarion (Kapral) of ROCOR. In 1997, Archbishop Hilarion directed that the monastery undertake the task of compiling a complete Prayer Book for ROCOR Western Rite. The task took seven years and emerged with episcopal blessing as the Saint Colman Prayer Book in 2003. It included the Liturgy of Saint Gregory as Abbot Augustine had worked on it, the Sarum Liturgy and the English Liturgy, as well as all the monastic offices and the occasional services which a Parish Priest might use in the course of a year. The book was heavily reliant on the Sarum services, many of which were incorporated only slightly modified. 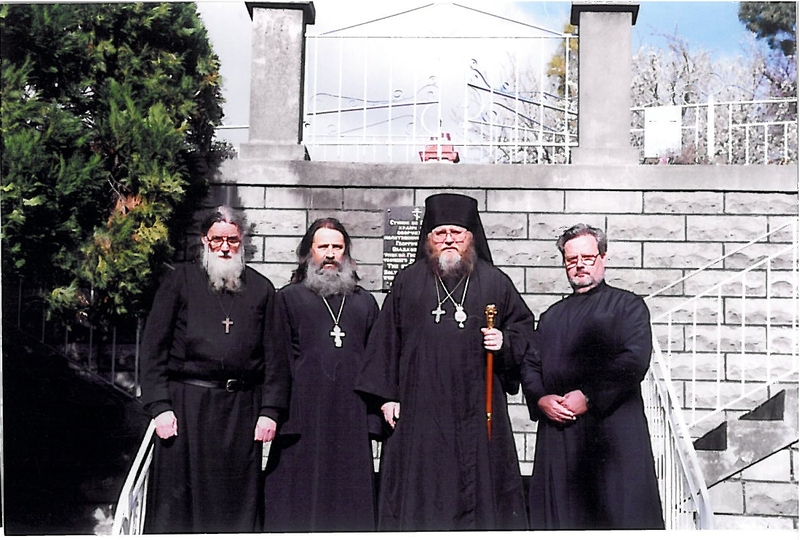 In 1998 Archbishop Hilarion directed Fr. Michael to take on the position of Chaplain at the University of Tasmania in Hobart. 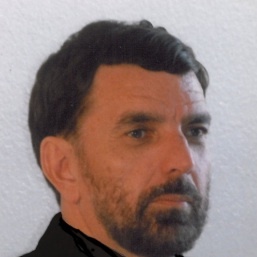 In 2001, Fr. Michael and cell attendant David spent some time in France conducting an investigation in the Orthodox Church of France. Fr. Michael lived in a flat attached to the Bishop’s house in Paris and they occupied the disused monastery in Saint-Marcel-le-Bourge in Tarn, southern France. 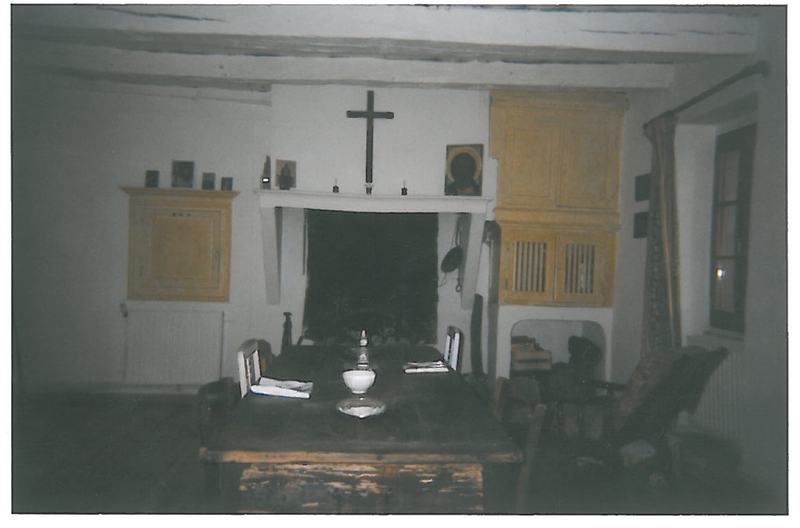 The Refectory at the disused ECOF monastery in the South of France where Fr. Michael and his attendant David lived. 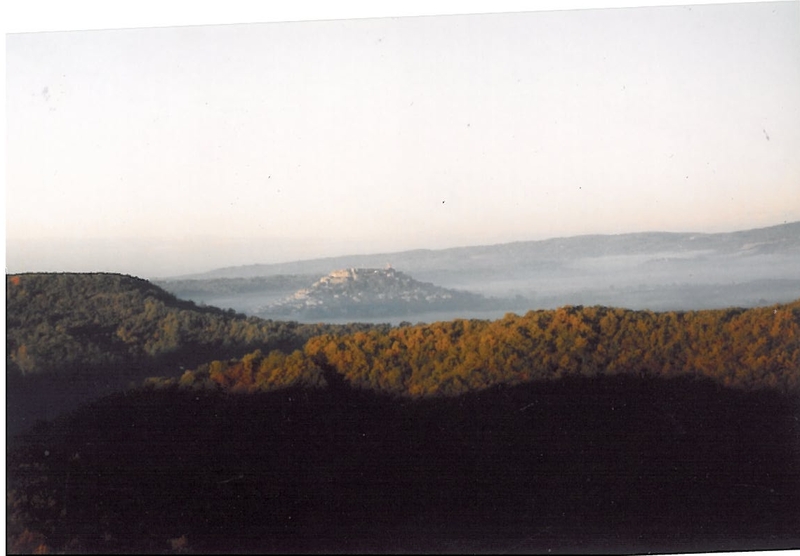 The view from the monastery towards Cordes sur Ceil with its mediaeval monastery atop the hill. A view unaltered in 800 years. Cell attendant David, local ECOF Priest and Fr Michael with local ECOF people in front of the ECOF church. 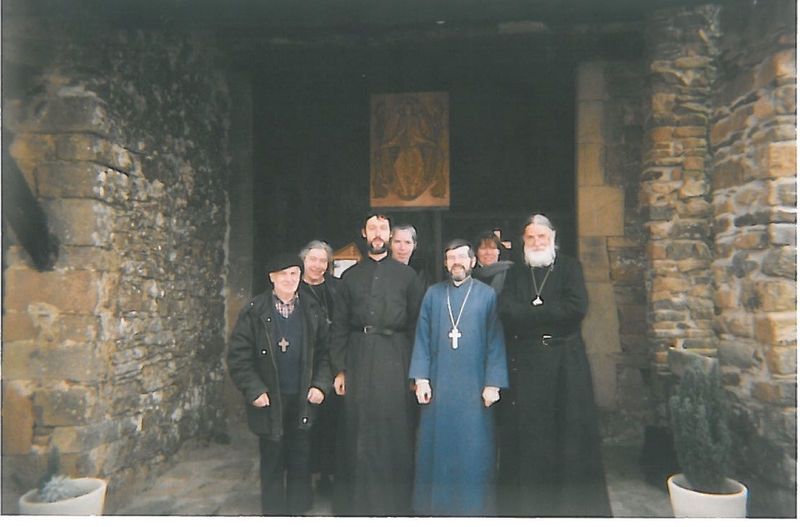 The Monastery already ran the Saint Dyfan Monastery Mission in Hobart and from 2000, Saint Dyfan began using the University chapel since its members were mostly also staff and students of the university.. The monastery developed over time to two separate houses, Saint Petroc House in Cascades and Holyrood Hermitage in Avondale. 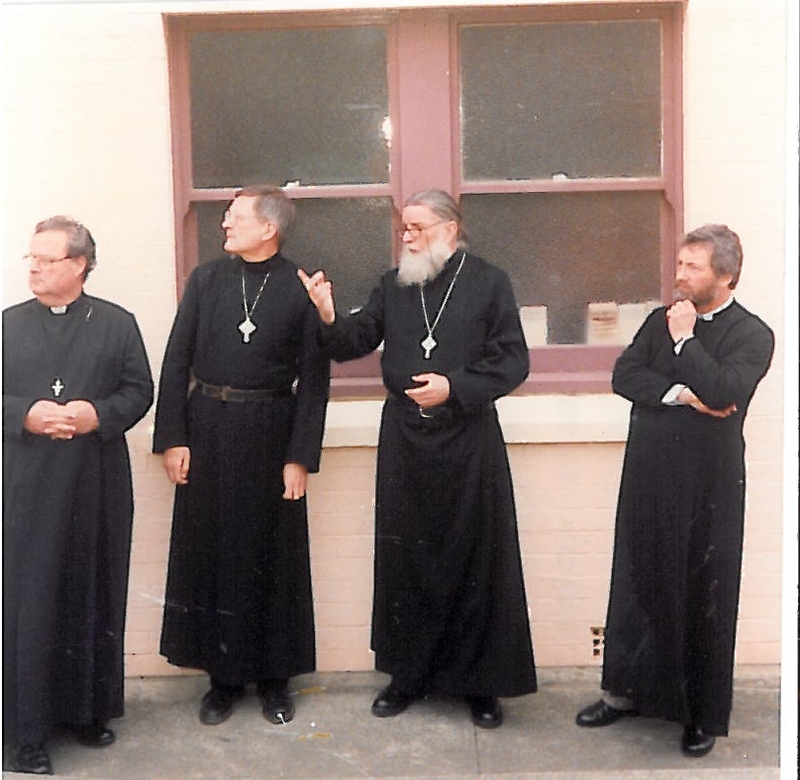 Holyrood House has since been transferred to Mount Royal Monastery in Jacksonville Florida under the Abbacy of Fr David. 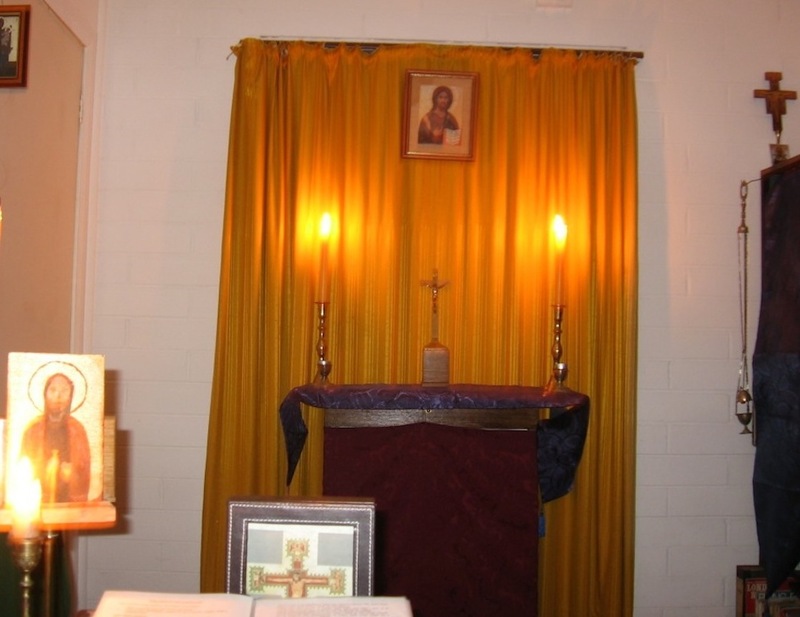 Saint George Hermitage was recently set up by Fr. 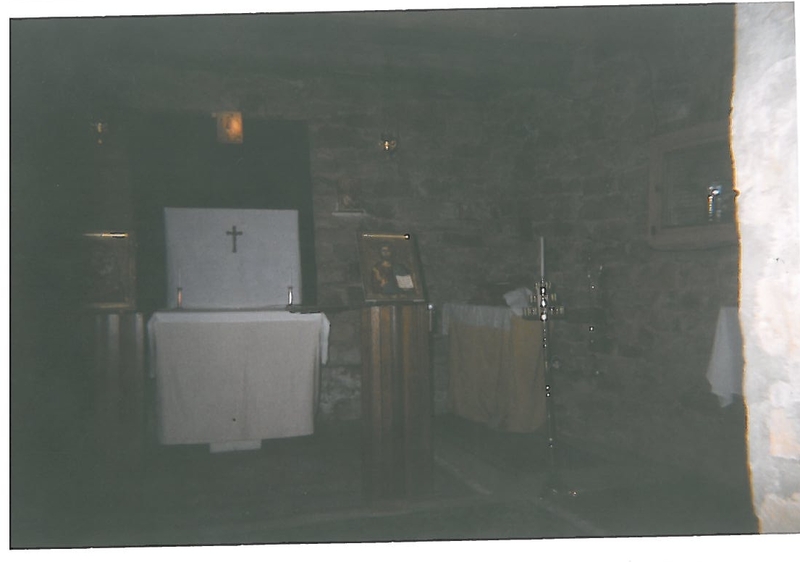 Joshua under Saint Petroc Monastery as a Western Rite presence in New Mexico. The monastery was donated forty-eight acres of land to build the monastery and constructiion is expected to commence soon. The Hermitage runs the Saint George Military Association for veterans and the Saint Maria (Skobstova) outreach to disadvantaged people. Since then it has been separated to become a separate monastery, Fr. Joshua has been joined by others and building work has begun on their land. 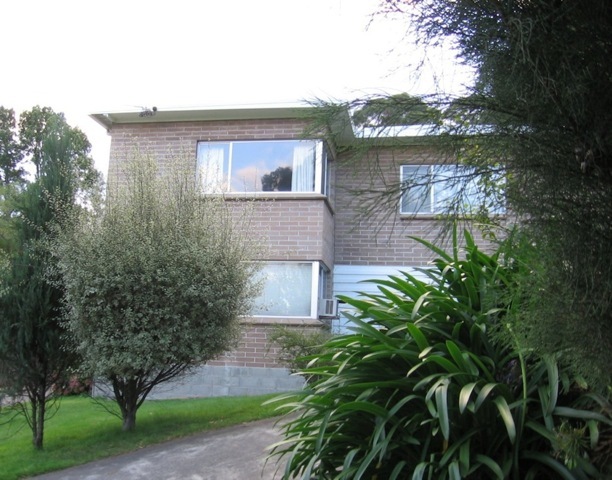 Saint Petroc monastery finally closed in 2012, when Fr Michael left Tasmania.